Al-Qaeda, Arabic for "the Base," is an international terrorist network founded by Osama bin Laden in the late 1980s. It seeks to rid Muslim countries of what it sees as the profane influence of the West and replace their governments with fundamentalist Islamic regimes. After al-Qaeda's September 11, 2001, attacks, the United States launched a war in Afghanistan to destroy al-Qaeda's bases there and overthrow the Taliban, the country's Muslim fundamentalist rulers who harbored bin Laden and his followers. Like his predecessor George W. Bush, President Barack Obama has committed U.S. strategy to destroying al-Qaeda's safe haven in the Afghanistan-Pakistan region, and limiting the group's ability to strike U.S. targets. Established by Usama Bin Ladin in 1988 with Arabs who fought in Afghanistan against the Soviet Union, al-Qa‘ida’s declared goal is the establishment of a pan-Islamic caliphate throughout the Muslim world. Toward this end, al-Qa‘ida seeks to unite Muslims to fight the West, especially the United States, as a means of overthrowing Muslim regimes al-Qa‘ida deems “apostate,” expelling Western influence from Muslim countries, and defeating Israel. Al-Qa‘ida issued a statement in February 1998 under the banner of “the World Islamic Front for Jihad Against the Jews and Crusaders” saying it was the duty of all Muslims to kill US citizens—civilian and military—and their allies everywhere. The group merged with the Egyptian Islamic Jihad (al-Jihad) in June 2001. On 11 September 2001, 19 al-Qa‘ida suicide attackers hijacked and crashed four US commercial jets—two into the World Trade Center in New York City, one into the Pentagon near Washington, D.C., and a fourth into a field in Shanksville, Pennsylvania—leaving nearly 3,000 people dead. Al-Qa‘ida also directed the 12 October 2000 attack on the USS Cole in the port of Aden, Yemen, killing 17 US sailors and injuring another 39, and conducted the bombings in August 1998 of the US embassies in Nairobi, Kenya, and Dar es Salaam, Tanzania, killing 224 people and injuring more than 5,000. Since 2002, al-Qa‘ida and affiliated groups have conducted attacks worldwide, including in Europe, North Africa, South Asia, Southeast Asia, and the Middle East. In 2005, Bin Ladin’s deputy, Ayman al-Zawahiri, publicly claimed al-Qa‘ida’s involvement in the 7 July 2005 bombings in the United Kingdom. In 2006, British security services foiled an al-Qa‘ida plot to detonate explosives on up to 10 transatlantic flights originating from London’s Heathrow airport. Also in 2006, al-Zawahiri announced that the Algerian Salafist Group for Preaching and Combat had joined al-Qa‘ida, adopting the name al-Qa‘ida in the Lands of the Islamic Maghreb. In 2009, extremist leaders in Yemen and Saudi Arabia reportedly announced they had merged to fight under the banner of al-Qa‘ida in the Arabian Peninsula. From early 2008 through 2010, al-Qa‘ida lost significant parts of its command structure, based in the tribal areas of Pakistan, in a succession of blows as damaging to the group as any since the fall of the Afghan Taliban in late 2001. Key leaders killed included Abu Shaykh Mustafa Abu al-Yazid, one of al-Qa‘ida’s most senior leaders; Abu Khabab al-Masri, the group’s leading expert on explosives and chemical attacks; Khalid Habib, al-Qa‘ida’s military chief; Abu Layth al-Libi, a key military commander and link between al-Qa‘ida and its affiliates in North Africa; and Usama al-Kini, an operational planner who was involved in the 1998 embassy bombings in East Africa. Despite leadership losses, al-Qa‘ida remains committed to conducting attacks in the United States and against American interests abroad. In April 2009, senior al-Qa‘ida leader Abu Yahya al-Libi advocated attacking US military, political, economic, and financial targets. Al-Qa‘ida trained and deployed Najibullah Zazi, who was arrested in September 2009 for conspiring to use explosives within the United States. Al-Qa‘ida is also focused on attacking Europe and has encouraged affiliates to target European interests. Al-Qa‘ida also has increased its support for and participation in attacks inside Pakistan, working closely with Pakistani militant allies. 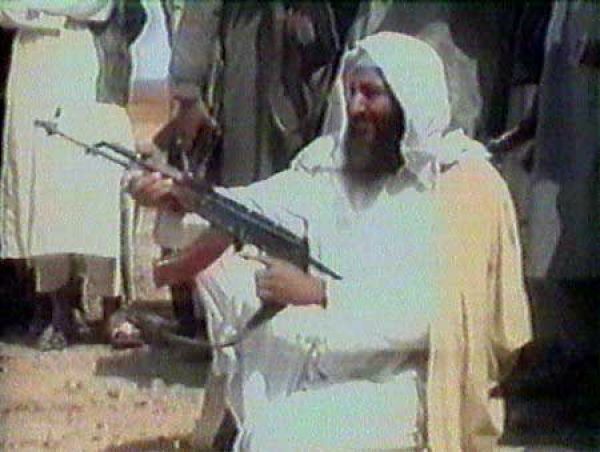 The true roots of Osama bin Laden's al Qaeda network stem from the decade-long conflict that plagued Afghanistan from 1979-1989. After Afghanistan was invaded by the Soviet Union, the Afghan Islamist extremists found a rallying call for their cause, as young Muslims from around the world came to Afghanistan to volunteer in what was being called a "holy war," or jihad, against the invading Soviets. One of these young Muslims was a 23 year old from Saudi Arabia named "Usama" bin Ladin. Son of a wealthy construction magnate, bin Ladin had taken to the religious sermons of Abdullah Azzam, a Palestinian and disciple of Sayyid Qutb. While he participated in few actual battles in Afghanistan, bin Laden became known for his generous funding of the jihad against the Soviets. However, bin Laden's ambitions extended beyond the boarders of Afghanistan, and he began to develop a complex international organization. He set up a financial support network known as the "Golden Chain," comprised mainly of financiers from Saudi Arabia and Persian Gulf states. Using this immense new fund, bin Laden and Azzam created a "Bureau of Services," which helped channel recruits for the jihad into Afghanistan. With Saudi Arabia and the United States pouring in billions of dollars worth of secret assistance to rebels in Afghanistan, the jihad against the Soviets was constantly gaining momentum. When the Soviets pulled out of Afghanistan in early 1989, bin Laden and Azzam decided that their new organization should not dissolve. They established what they called a base (al Qaeda) as a potential general headquarters for future jihad. However, bin Laden, now the clear emir of al Qaeda, and Azzam differed on where the organization's future objectives should lie. Azzam favored continued fighting in Afghanistan until there was a true Islamist government, while bin Laden wanted to prepare al Qaeda to fight anywhere in the world. When Azzam was killed in 1989, bin Laden assumed full charge of al Qaeda. After leaving Afghanistan and being exiled by Saudi Arabia, bin Laden moved to Sudan, and with him went the base of operations for al Qaeda. From the sanctuary of Sudan, bin Laden began synching up with groups from all over the Middle East and northern Africa, and began laying the groundwork for his jihad against the West. Beginning with a fatwa called against the United States' deployment to Somalia, bin Laden would continually plan and aid attacks against the United States. Al Qaeda trainers allegedly aided in downing two Black Hawk helicopters in 1993. Bin Laden and al Qaeda also took credit for the bombing of the World Trade Center in 1993. In 1995, al Qaeda associates were responsible for a car bomb that exploded outside a Saudi-U.S. joint facility in Saudi Arabia that was used to train the Saudi National Guard. Due to mounting international pressure, Sudan forced bin Laden to return to Afghanistan, where he struggled to rebuild his terrorist network. It was not until the rise of the Taliban that bin Laden had al Qaeda working again, and had enough confidence to issue his 1998 fatwa against the United States and its citizens. By this time, al Qaeda had merged with the Egyptian Islamist Jihad, headed by Ayman al-Zawahri, who would become number two in command to bin Laden. Al Qaeda was now the general headquarters for international terrorism. While previous acts by al Qaeda had involved training, funding and aiding other groups, the new refuge in Afghanistan allowed for bin Laden to take his organization to the next level. In 1998, the U.S. embassies in Kenya and Tanzania were attacked by terrorists, yet this time, it was planned, directed and executed solely by al Qaeda and bin Laden. Al Qaeda would also be responsible for the 2000 strike against the U.S.S. Cole in Yemen, which left 17 American sailors dead. On September 11, 2001 al Qaeda executed its most devastating attack against the United States, killing nearly 3,000 civilians. However, the United States military response in Afghanistan would serve to cripple al Qaeda for a significant amount of time. With the protection of the Taliban gone and bin Laden in hiding, al Qaeda became far more decentralized, with operational commanders and cell leaders making the command decisions previously made by bin Laden. However, as a recent National Intelligence Estimate report showed, al Qaeda is once again gaining strength, and has significantly rebuilt itself despite U.S. efforts. 2 JUNE 2008 Al-Qaeda claims responsibility for a car bomb against the Danish embassy in Pakistan. Six died. Police arrest an al-Qaeda cell of Pakistani students in Manchester who were plotting a bomb attack on shoppers in Manchester. It later emerged the plan was part of a wider series of coordinated attacks in New York and Scandinavia. Umar Farouk Abdulmutallab, 23, a Nigerian graduate, tries to blow up an airplane. Wearing explosives in his underwear he sets himself alight in a packed Airbus approaching Detroit, in an attack orchestrated by al Qaida in Yemen. Bin Laden claims responsibility for a failed attempted bombing of a US-bound plane on Christmas Day. Barack Obama claims America has severely weakened the terrorist. January 25, 2010 - Three suicide bombs rock hotels in the Iraqi capital, Baghdad, killing at least 36. Al Qaeda-linked insurgents claim responsibility. July 2010 - French tourist Michel Germaneau killed by AQIM, three months after it kidnapped him in Niger. October 31, 2010 - Gunmen seize hostages during Sunday mass at a church in Baghdad. Around 52 hostages and police are killed. Al Qaeda's Iraqi affiliate claims responsibility for the attack on "the dirty den of idolatry." November 5, 2010 - AQAP claims responsibility for a foiled plot to send explosive parcels to the United States. Two parcel bombs were intercepted on cargo planes in Britain and Dubai. Jan 2011 - France says AQIM was almost certainly behind the abduction of two Frenchmen killed in Niger. Barack Obama announces that US forces in Pakistan have killed Bin Laden. Al-Qa.ida continues to aspire to spectacular attacks. Over the past two years, core al-Qa.ida has continued to be committed to high-profile attacks against the West, including plans against the United States and Europe. Despite setbacks since the 7 July 2005 attacks in London-the last successful al-Qa.ida-backed plot in the West-we have seen the group continue to pursue a range of attack methodologies and recruit operatives familiar with the West. In light of the loss of experienced personnel, we judge it will seek to augment sophisticated plots by increasing its operational tempo with smaller, simpler ones to demonstrate its continued relevance to the global jihad.